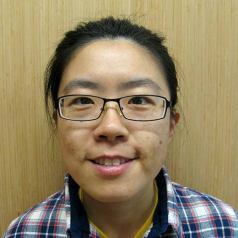 Lin Ding, PhD, is a post-doctoral fellow in the Synthetic Biology and Bioenergy Group at JCVI. Lin received a BSc in Immunology from the University of Toronto, and a PhD in Molecular Biology from the University of Southern California. Borrowing nuclear DNA helicases to protect mitochondrial DNA. International journal of molecular sciences. 2015-05-13; 16.5: 10870-87. Rapid regulation of nuclear proteins by rapamycin-induced translocation in fission yeast. Yeast (Chichester, England). 2014-07-01; 31.7: 253-64. Essential domains of Schizosaccharomyces pombe Rad8 required for DNA damage response. G3 (Bethesda, Md.). 2014-05-28; 4.8: 1373-84. Schizosaccharomyces pombe minichromosome maintenance-binding protein (MCM-BP) antagonizes MCM helicase. The Journal of biological chemistry. 2011-09-23; 286.38: 32918-30.